In 1993, Aerin Lauder Zinterhofer’s aunt, Evelyn, started the Breast Cancer Research Foundation (BCRF). Over the course of the last 24 years the organization has raised over half a billion dollars, funds used to research a cure and raise awareness, a key component to early detection. Aerin is continuing her aunt’s support for BCRF, and following in the footsteps of her family’s tradition of selling jewelry at Sotheby’s for the charity, by donating two spectacular pieces from her collection to the cause. The jewels will be sold on October 17 in the Fine Jewels Sale. 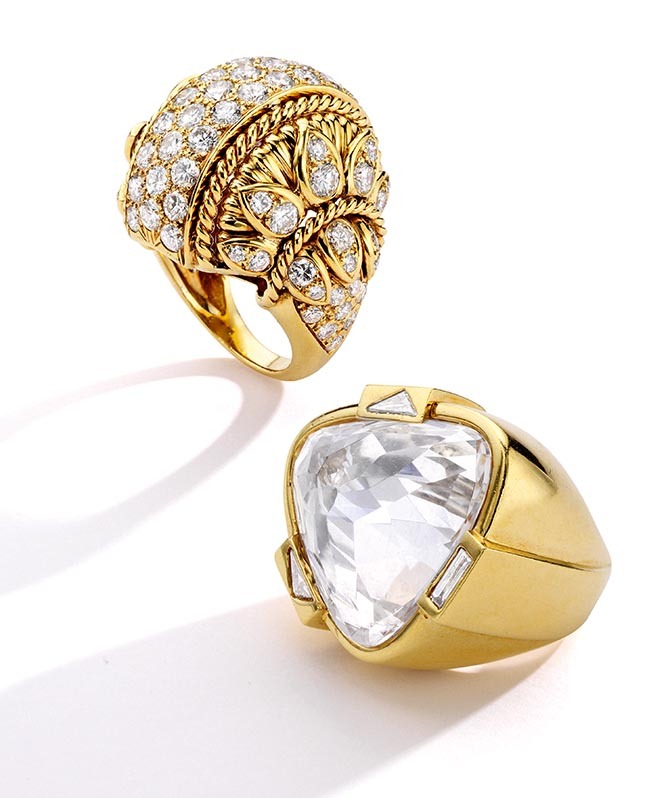 One of Aerin’s jewels is a gold rock crystal and diamond ring by David Webb with an estimate of $4,000 to $6,000. The other is a gold and diamond ring by Van Cleef & Arpels made around 1970 with an estimate of $8,000 to $12,000. Watch the video of Aerin telling the story behind each of the jewels and sharing her memories of how she first became enchanted with jewelry.